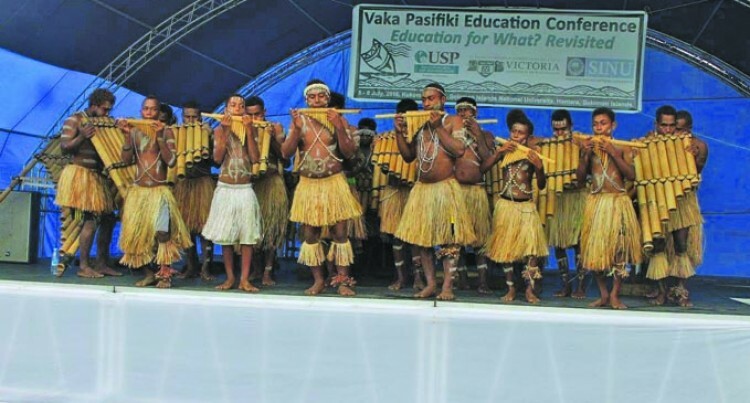 The 2018 Vaka Pasi­fiki Education Con­ference (VPEC) will bring in students from around the region to the University of the South Pa­cific next month. With the theme ‘It takes an island and an ocean: Re-thinking Pacific Educa­tion for resilient, healthy communities’ the event will see key note speakers such as associate professor Eve Coxon and professor Unaisi Nabobo- Baba speak on edu­cational motivational dia­logues. Vaka Pasifiki brings together both literal and richly metaphorical mean­ings that have a number of Pacific languages. Vaka or ‘waka’ meaning transport, in the days of sailing and canoeing and Pasifiki- the Pacific people, the ocean people. Three-Hundred partici­pants will gather as regis­tered participants inclusive of national, regional and international educators with 115 abstracts to be pre­sented. It is an educational movement bringing Pacific Islanders together. The gold sponsors of the event are Tanoa Hotel Group and the Educational Quality & Assessment Pro­gramme (EQAP) of the Pa­cific Community (SPC). The event is from July 5 to 6.